Each section is provided in PDF (print-friendly) format and will open in a new browser window. After printing a section, close the new browser window to return to this page and continue on to the next section. PDF documents require Adobe Acrobat Reader, a free download. Planning Task 1: Identify Values – What's Important to You? Planning Task 2: Farm History and Current Situation – What Have You Got? Planning Task 3: Vision, Mission and Goals – Where Do You Want to Go? Planning Task 4: Strategic Planning and Evaluation – What Routes Can You Take to Get Where You Want to Go? Planning Task 5: Present, Implement and Monitor Your Business Plan – Which Route Will You Take, and How Will You Check Your Progress Along the Way? 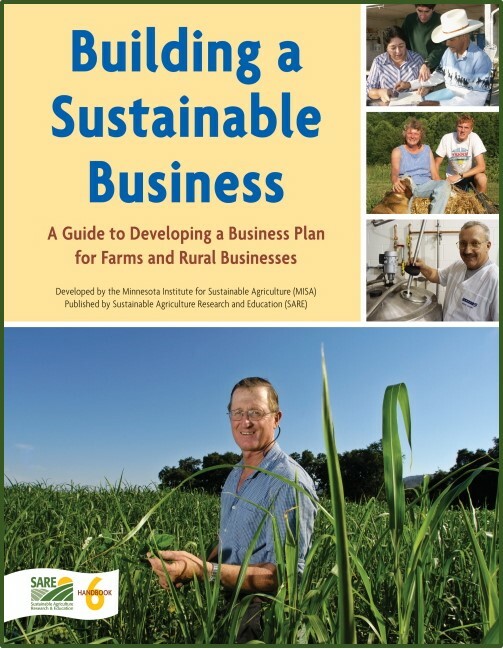 The Building a Sustainable Business publication was conceived in 1996 by a planning team for the Minnesota Institute for Sustainable Agriculture (MISA) to address the evolving business planning needs of beginning and experienced rural entrepreneurs. This Guide was developed over a period of seven years by a team of University of Minnesota faculty and staff, individual farmers and consultants. It incorporates recommendations on content, language and organization from the review process as well as examples from five of the review team’s business plans. MISA followed one of the farm reviewer families, Cedar Summit Farm owners Dave and Florence Minar and their family, throughout their planning process. The Minars’ planning experience—their initial exploration of values, brainstorming of goals, and research into on-farm milk processing, markets and financing—is incorporated throughout this Guide’s text and Worksheets. A completed business plan for the Minars’ Cedar Summit Creamery is attached in Appendix A, at the end of the Resources, Glossary, and Appendices section. We hope this Business Planning Guide will assist today’s alternative and traditional business owners alike with the creation of a holistic business plan rooted firmly in personal, community, economic and environmental values. With a business plan in hand, today’s farmers and rural entrepreneurs will be able to take that first step toward the creation of a successful and sustainable business. 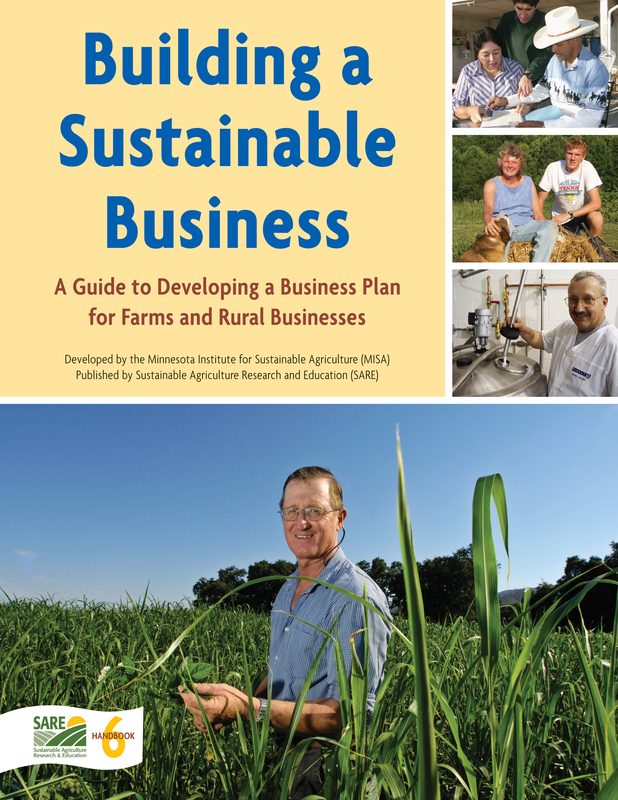 2013: The Building a Sustainable Business guide was reprinted with a new cover and updated Resources, and an update about the Cedar Summit Creamery profiled extensively in the guide. Otherwise the text has changed little from the original 2003 edition or the 2010 edition, so if you already have an older copy of the book, we suggest you just print off the new sections to update your copy! "This publication was developed by the Minnesota Institute for Sustainable Agriculture in cooperation with the Center for Farm Financial Management, with funding from the Minnesota State Legislature."